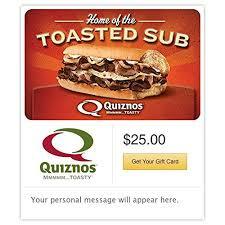 To celebrate the rain finally moving away, I am giving away a $25 Gift Certificate to Quiznos! Nothing makes a meal taste better than it being free!! Enter here and enter daily and you can win this certificate! Previous post: Sample Tuesday is Coming!! Sample products for FREE!